UNT welcomed over 70 scholars, teachers, and leaders in mean green style at the annual new faculty orientation on August 14th. The all-day event featured a kick-off performance by UNT's Green Brigade, greetings from President Neal Smatresk, a resource exhibit fair, and interaction with key faculty and campus leaders. 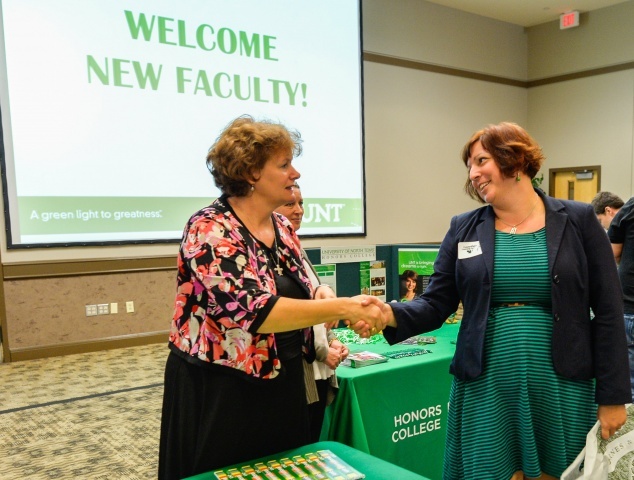 We know that a quality faculty is one of the hallmarks of a great university, and we want to make certain that all faculty are enabled to reach their full potential (with a shout out to the newest members of the UNT community). Please reach out to a new faculty member to demonstrate your support. Consider taking a new faculty member to lunch, inviting them to a grant writing workshop, or helping them navigate through Blackboard Learn. Follow the link for a listing of the 2014-2015 New Faculty Cohort. New Student Convocation will be held Thursday, August 21st at 5:00 p.m. in the UNT Coliseum. This event welcomes our first-year and transfer students to campus and sets the tone for academic life at UNT. Faculty presence at Convocation symbolizes the centrality of scholarship to the university experience, and your attendance demonstrates your commitment to our first-year and transfer students. Plus, your presence earns you a chance to win big! President Smatresk is offering faculty a chance to win a $500 travel stipend for professional development. To be eligible to win, faculty must RSVP to Ashlea Coulter (Subject Line: Faculty Attendance at Convocation) and check in with a member of the Green Jackets (enthusiastic students who will be wearing green polo shirts and carrying clip boards) to verify attendance. All faculty will enter through Gate H on the concourse level of the Coliseum and proceed to the area marked off with their academic banner to sit with their students. Dress is business casual (no regalia required). Teaching is at the heart of what we do at a university. At UNT, we value effective teaching and are making strides to strengthen this commitment. In each edition of the faculty newsletter we offer announcements and opportunities to improve your teaching in the "Teaching Corner." This back-to-school edition includes information on improving first day classroom experiences, upcoming seminars, new initiatives, the Teaching Excellence Handbook, and more. What is your first day of class routine? Reviewing your syllabus, answering students’ course questions, or giving your first lecture? Since the first class meeting often sets the tone for the entire semester, getting off on the right foot is essential (perhaps you have already seen a few messages on this topic). 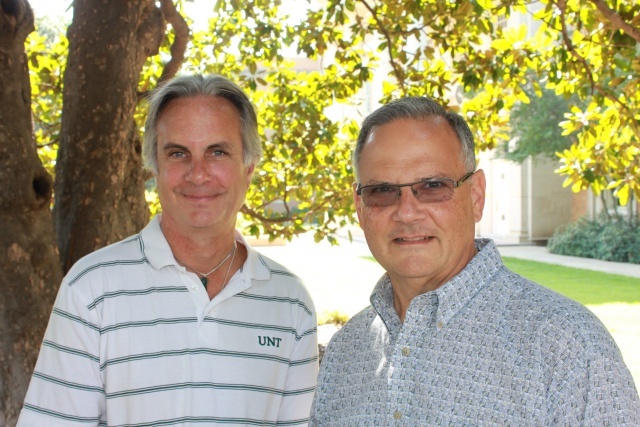 For some helpful tips, you may want to view the webinar, Preparing for the First Day of Class, featuring UNT Distinguished Teaching Faculty, Neal Brand (Mathematics), Joe Klein (Music Composition), and Kimi King (Political Science). This webinar facilitates important conversations about securing student buy-in, managing group dynamics, and activating curiosity and creativity during early classroom experiences. For other good ideas for the first day of class, visit the CLEAR website. The annual Teaching Excellence Seminar is scheduled for August 21, 2014 in the Gateway Center and there are still a few open spots reserved just for you. This event, co-sponsored by the Office of the Provost and CLEAR, is designed to engage our newest instructors in important dialog about teaching and to explore UNT's teaching resources and policies. This year, we have added technology workshops in the afternoon to acquaint participants with key technologies they will be encountering in the classroom and in their online classes. Register here. Want to maximize your impact on student learning? Do you look for ways to connect with other committed educators? Are you looking for ways to document your efforts to improve your teaching? If so, the Teaching Resources for Engaged Educators (TREE) initiative, developed by CLEAR, is for you. TREE leverages online training modules focused on 10 important teaching proficiencies (e.g., engaged learning, assessment, course design) that allow you to move at your own pace through three levels of proficiency (introductory, intermediate, and advanced). The TREE program will appear in your list of Blackboard courses and is available for everyone who teaches at UNT. To participate, simply select the course and then the modules you would like to complete. You will receive badges for completing each module and a Certificate of Teaching Distinction when successfully completing all three levels of a proficiency. For more information, please refer to the CLEAR website: http: clear.unt.edu/tree. 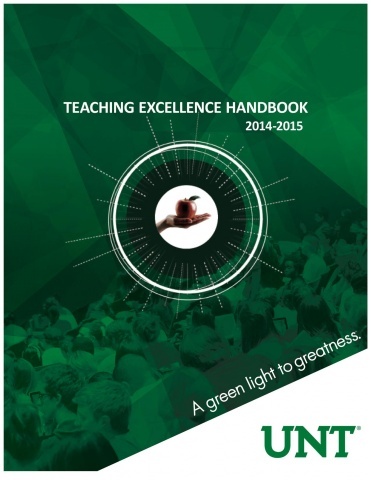 The 2014-15 edition of the Teaching Excellence Handbook has been released. This handbook serves as an important resource for all faculty who are responsible for instructional activities at UNT. In this comprehensive guide, we have compiled important university information and helpful tips that will assist you in carrying out your teaching responsibilities. Whether you are a first time Lecturer or an experienced Full Professor, we hope that this handbook provides the answers to your questions. 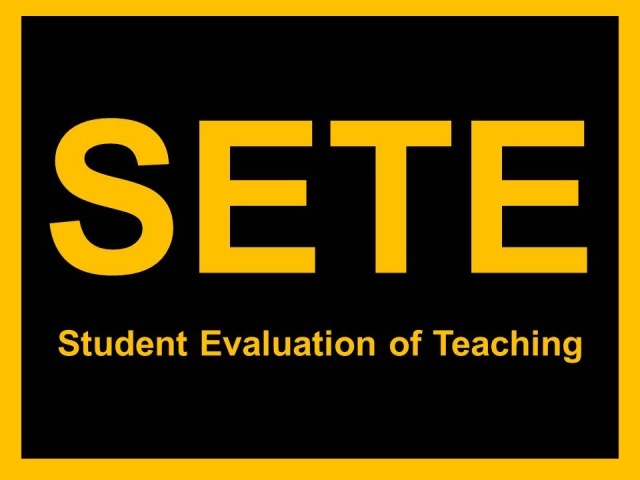 What do you REALLY think about student evaluations of teaching? Do you view the evalutions as a valuable tool to improve your teaching or are they merely a popularity contest? As an important stakeholder, we want to hear from you. To this end, the Student Evaluation of Teaching Task Force invites you to participate in a focus group discussion to inform decision making related to the comprehensive evaluation of teaching at UNT. The sessions will last approximately 30 - 45 minutes and light refreshments will be served. If you are interested in participating in a focus group, please register for one of the sessions scheduled this September. Need to increase your research productivity? Consider joining the network “Getting More Productive with your Research,” a mentoring group for associate professors. Led by Victor Prybutok, Regents professor in Information Technology and Decision Sciences, and Jim Meernik, professor in Political Science, this group will uncover successful strategies for increasing both the quality and quantity of your research. Throughout this mentoring process faculty will better understand the criteria and processes of promotion. Bi-weekly meetings will begin September 19th and will be held on the first and third Friday of each month from 1:00-3:00 pm in the Kerr dining hall. If you are interested in joining the mentoring network, please email victor.prybutok@unt.edu or James.meernick@unt.edu. UNT strives to promote research, scholarship, and creative activities that engage faculty and external collaborative partners to their fullest potential. The Office of Research and Economic Development (ORED) supports faculty research by offering comprehensive services to advance research projects at every stage of development. Learn more about upcoming limited submission opportunities and new procedures at Upcoming Limited Submission Opportunities. September 16, 2014 at 3:30 p.m.- 4:30 p.m., Gateway 42. November 19, 2014 at 2:00 p.m.- 3:00 p.m, Gateway 42. Salute to Faculty Excellence: The Invitation is in the Mail! It's just around the corner and we hope that you are making plans to attend the many exciting events planned during Salute to Faculty Excellence Week. Events will be held across campus to showcase the dedication of UNT faculty to teaching, research and service. 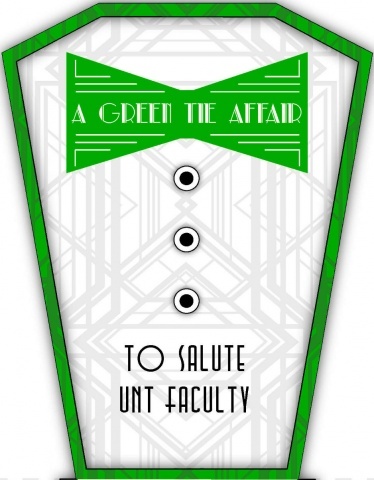 The university celebration will culminate in the Salute to Faculty Excellence Awards Dinner and Ceremony where we will honor UNT award winners and newly promoted and tenured faculty. You should be receiving your invitation to this 'green tie' affair in the coming days. Reservations can be made online and must be completed by September 16th.